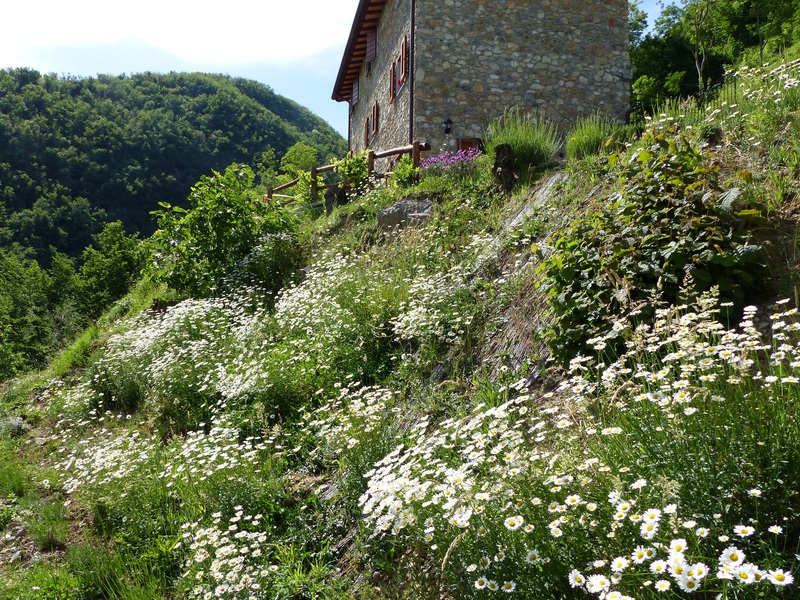 In the heart of the Garfagnana, my beautiful mountain holiday home, the elegant rustic Casa Debbio is situated just outside the medieval village of Vergemoli. My name is Debra Kolkka. I am an Australian who spends almost 6 months each year in Italy, having done so for more than 12 years. In 2009 I came across a remarkable property close to the ancient village of Vergemoli. 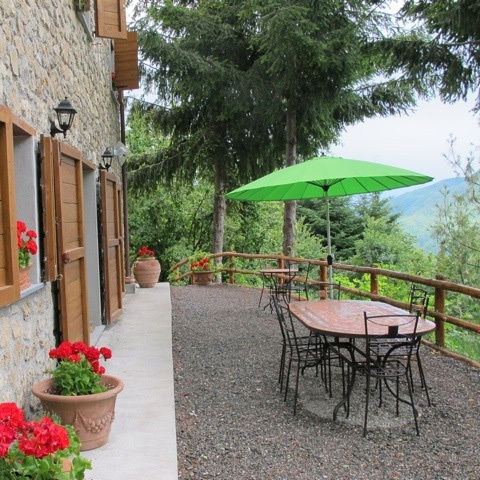 The property’s location high in the mountains of the Garfagnana, surrounded by the Apuan Alps National Park means that the views are stunning. Further, it has a perpetual spring on the property which provides ample water, even during the often long, dry summers. 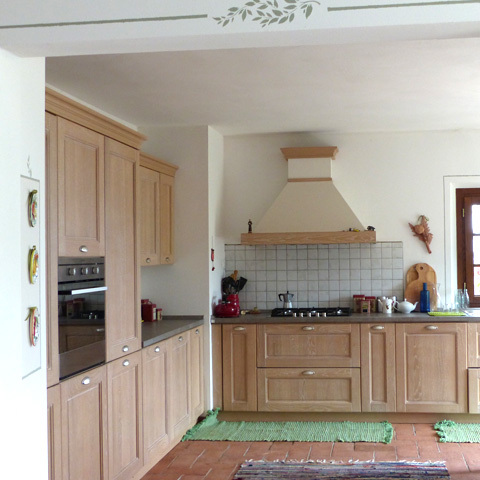 The existing farmhouse was unable to be saved, but the newly constructed 3 level building has been built in the same style, in accordance with all heritage requirements. All the rooms have wonderful views over the village below and across to the mountains in the distance. The house faces south and basks in sunshine all day. There is a grassed garden beside the house with a small vegetable garden. 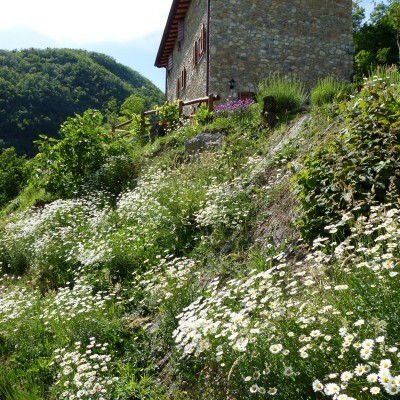 Guests are invited to enjoy any growing crops such as tomatoes, herbs, raspberries etc. There is also a barbecue for outdoor meals. There are several other terraces surrounding the house with apple, pear, cherry, fig, peach, plum, pomegranate and persimmon trees. There are also a couple of very old fig and cherry trees on the property. In summer the garden is filled with fireflies and you can hear the sounds of owls calling to each other. 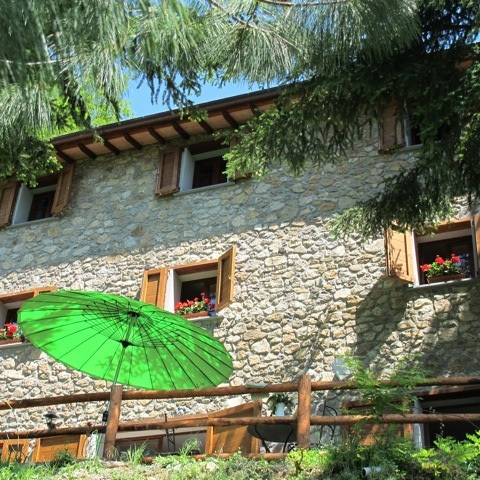 The village of Vergemoli is a 2 minute drive, or ten minute walk from the house. It is a beautifully kept village. A bar is open in the morning and afternoon and there is an excellent shop open 6 days a week for 4 hours a day, in the morning or afternoon. There is also a pharmacy open part time. The nearest supermarket is 8 kilometres away in Gallicano. Lucca is a 40 minute drive from Vergemoli. We think the house would be a perfect place for a group of friends to gather for a peaceful break from the world. There are hundreds of beautiful villages in the area to explore, many with excellent restaurants where you can enjoy fresh, local food, and discover some wonderful local festivals. The house is available for rent now. Please email me at debrakolkka@gmail.com for more information.